disclosure: The following post is sponsored by Fitfluential LLC on behalf of Verizon Wireless. Make your life richer, simpler, and more fun. closer and captures those fun moments when we are together. Each feature was designed to simplify our daily lives. Furthermore, it cares enough to monitor our health and well-being. 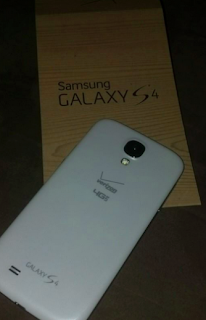 To put it simply, the Samsung GALAXY S4 is there for you. A life companion??? YES please~ I love this phone. The pictures it takes are unbelievable. It has different settings for the camera too. I have no excuse to miss a photo, and there are always opportunities for pictures with a busy 10 year old around. The coolest part is that with the photo, I can record a sound to go with it. It's so interactive! This phone can also detect when I am not looking at it and shut itself off. It can also scroll as I read just by my eyes. One thing I haven't tried yet but will soon is S Health. This is really cool. There is even a scale I can purchase that syncs with my phone. I can't wait to learn more about this. There is so much to learn!! I love exploring with this phone. I am really excited about the super-fast Verizon 4G LTE service. Yep, now we no longer need a wallet! I love it! My phone goes everywhere with me. Many times I have left my wallet at home, but I never leave my phone. This is amazing and easy! Yup, that means no more GIANT wallet in your back pocket or digging through your purse trying to find your wallet. Tap to Pay. The Isis Mobile Wallet holds virtual versions of many things your existing wallet does including your credit cards from participating providers. Just tap your phone to pay at any Isis-Ready merchant. Save with offers. Your offers, deals and promotions are also stored in the Wallet, so you always have them with you, organized and ready to use. Simplify loyalty cards. You can also add your loyalty cards from participating merchants. You know, the ones crowding your keychain and weighing down your wallet. PIN protection: Your wallets accessed can only be opened by entering a unique 4 digit PIN that you set. 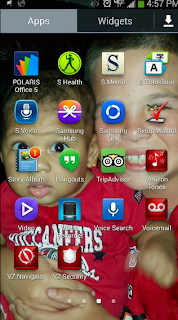 Remote wallet locking: If your device is lost, you can visit My Verizon to remotely suspend your wallet. Personal privacy: Isis values your privacy. What you buy is between you and the merchants you patronize. you could win a Samsung Note 3 and Samsung Galaxy S4. Are you starting to feel like we are becoming the Jetsons? What do you think about a mobile wallet? Bummer... I hope you find something that works. Have you written a letter? I have always found success with that. That looks like an awesome phone, and I love the idea of the Isis wallet - very convenient! Absolutely Christina. I look forward to learning more about you! Update on My Crazy Life!